Image: Rich Fury/Forum Photos via Getty Images. Elf on the Shelf is serious business for kids who are desperate to please Santa Claus and earn their place on the nice list before Christmas. Though the recent holiday tradition is supposed to be fun, it can also spark some interesting (and dark) conversations. Kim Kardashian West learned that this week after her daughter North surprised the family by constructing a gravesite and “burying” her brother Saint’s dead Elf on the Shelf. It wasn’t a sudden burst of Wednesday Addams-like morbidity that inspired the less-than-jolly staging either; instead, it turns out North is quite the stickler for the Elf on the Shelf rules — especially the one that states kids are never to touch their elves because “they may lose their magic.” Unfortunately, Saint didn’t abide by this sacred custom, and his elf suffered the dire consequences. “Saint touched his Elf on a Shelf so North just brought this in,” Kardashian West captioned the hilarious image on Instagram Stories. Honestly, this is one of the funniest things to come out of the Elf on the Shelf phenomenon (yes, it’s even better than Shiraz on the Shelf or, dare we say it, Jason Momoa dressed as Santa’s Little Helper). It took some serious dedication and tape skills to create a stand-up tombstone and a peaceful burial garden. Yes, even the Addams family would be proud. 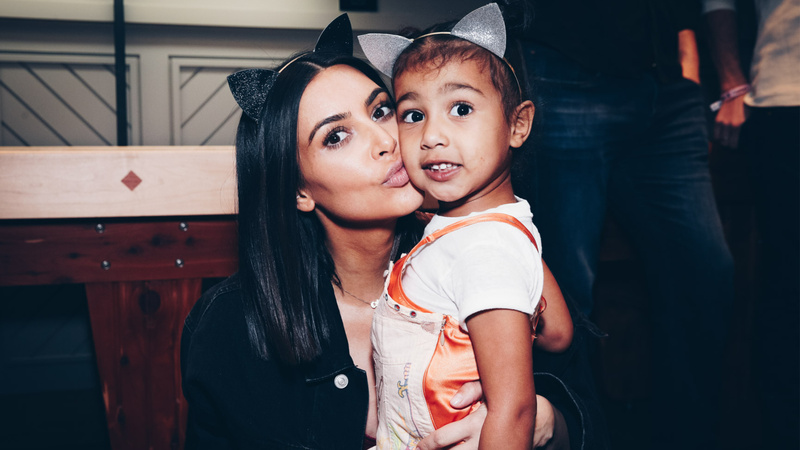 However, North’s burial ceremony may have been premature. 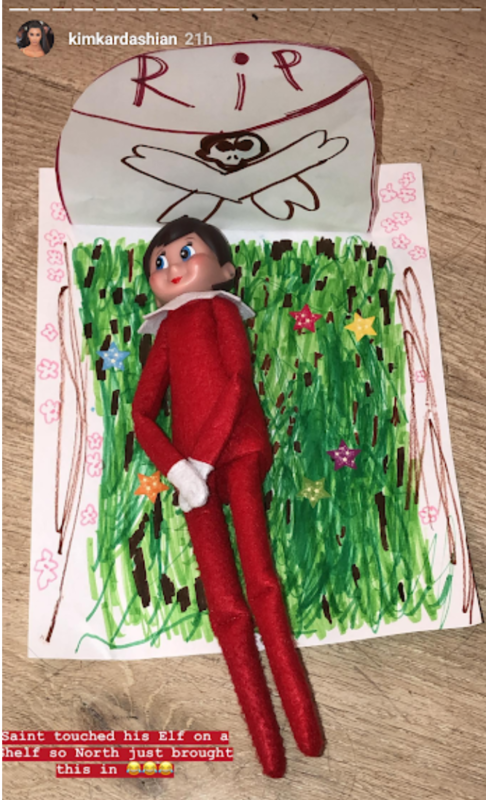 According to the Elf on the Shelf site, there are a few ways kids can revive their elves’ magic after purposefully touching them: Write an apology note to Santa or your elf; sprinkle cinnamon, which is “like vitamins” by your injured Scout (it apparently helps them reach the North Pole medical staff quicker); sing some holiday carols. Hallelujah, you don’t have to buy a brand-new elf every time your kid breaks the rules! As for the Kardashian-West clan, well, we have a feeling that if they can splurge on $200,000 worth of investments, they can pony up the $30 for a new elf.